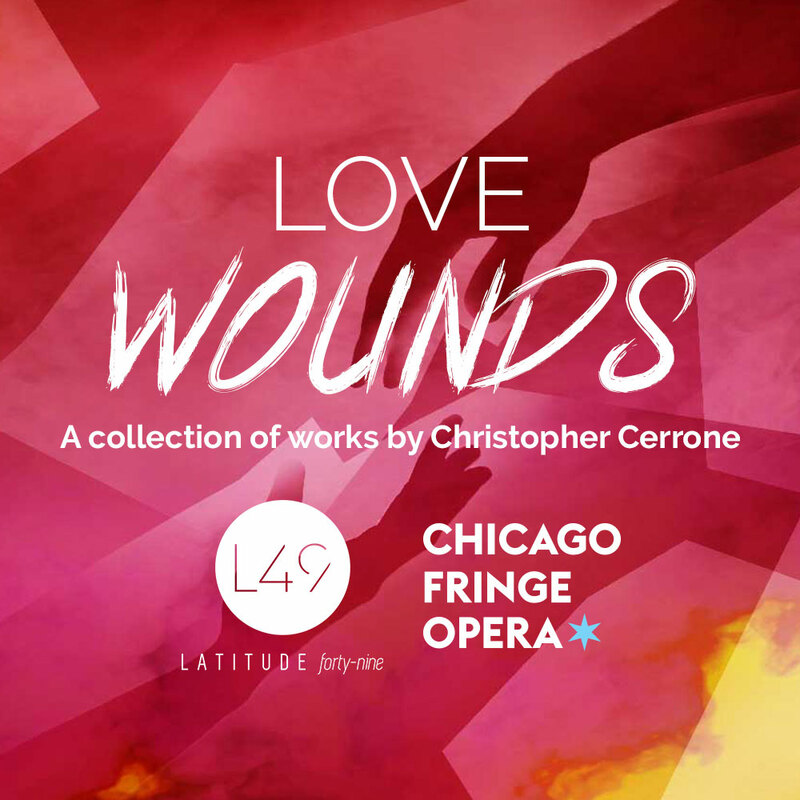 The vital and intimate emotional world of composer Christopher Cerrone is at the heart of LOVE WOUNDS. This evening of immersive theater will feature Chicago Fringe Opera, Chicago’s premiere “alt-opera” company, in collaboration with the powerhouse mixed-ensemble Latitude 49. Universal stories of love, loss and our sense of self will be explored by all performers in this production of multiple works that span the ancient to the millennial experience. Cerrone shows us the beauty and the gift in the wounds we carry and the music we can make of them. Including the cycles "I Will Learn to Love a Person" and "The Naomi Songs," Cerrone’s one-act opera "All Wounds Bleed," and a world premiere commission, LOVE WOUNDS seeks to intensify the theatrical communication between the vocalists, instrumentalists, and audience in order to bring us closer to each other and ourselves. Recent winner of the 2015 Rome Prize and Pulitzer Prize finalist for his opera Invisible Cities, Christopher Cerrone will be closely involved with LOVE WOUNDS, serving as composer/arranger and co-curator. More information can be found on the Chicago Fringe Opera website here!